of t he 19 5 d ays a re us ed for s taff develop me nt. o r co nt ac t t he m di rect for co nfi rm atio n.
Thorner’s Fledglings Pre-School Thorner’s CE VA School School Lane Litton Cheney Dorchester DT2 9AU Tel: 01308 482410 Thorner’s Fledglings began as the Bride Valley Fledglings playgroup in the Puncknowle Village Hall in the 1980s. 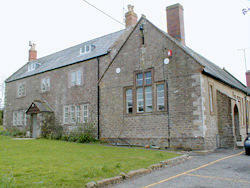 In 2007 the playgroup moved to premises within Thorner’s Primary School in Litton Cheney. In 2016 the pre-school became part of the school. Fledglings welcomes children aged 2 years 9 months or more. The premises are perfect for our young Fledglings. Our children have full access to school resources and enjoy: the use of the school hall (LATCH) for gymnastics and other activities the Discovery Area for outdoor exploration the school playground, tennis court and field for games, cycling and scooting the school pool for swimming in the summer term, and the extra resources the school can provide above and beyond what we offer. Our classroom is well-resourced and the children enjoy many experiences as they learn through their free-play and teacher-led activities. For all policies and procedures please look at our website via the school’s website: www.thorners.dorset.sch.uk and click on the Fledgling’s Logo. To celebrate World Book Day the children came dressed as characters from a traditional story/myth/legend. We had wolves, Puss in Boots, Red Riding Hoods, Alice(s) in Wonderland, Tweedledee and Tweedledum, various princesses… Brilliant dressing up and lots of props too! We had a House Quiz on book characters and Ernest Shackleton (red) house won – well done! Thanks to our parents’ support to the Book Fair, we raised about £500 and so were able to get books worth £50 for each class. In their class assembly, Litton and Chesil treated us all to singing and dancing, showed fantastic artwork and did a little sketch on Henry VIII and his wives. Bredy also did some super singing and dancing and told us all about Brazil. I am so proud of the confidence and skill the children display and, of course, their enjoyment. Our Ethos Council role played a Bible Story – Jesus is Baptised – for our value of the half term, Humility. It is impressive that the children really understand this difficult concept. We had our Easter service in LATCH instead of in church because of the very wet weather. It was a lovely service and the children all received palm crosses. It was very nice that Fledglings could join the service. After the service, we all enjoyed hot cross buns kindly provided by the TSA. We had a fun Easter Learning Day - the children made collages and pictures around Easter and Christian symbols. Their fantastic artwork is displayed in school – do have a look. In a separate competition, many children drew fantastic pictures representing the school values. All entries received a chocolate treat and seven winners a bigger chocolate egg. Well done to all! Children came wearing something red for Red Nose Day and brought in £1; we collected about £50. Our strings group played for the school and were hugely confident – very impressive! We had an excellent display of the dance each class has been learning. Eggardon had their last orienteering session, this one at Salway Ash. Our girls’ cricket team participated in the County tournament. They came fourth overall and played excellently. Years 4, 5 and 6 participated in pyramid tag rugby - the children played brilliantly! Some of our children participated in the West Dorset swimming gala. Fledglings and Litton had an exciting visit by a police car. They also had a pony and tractor visiting for their ‘transport’ topic. Art competition winners: Last half term the children in Miss Newbury’s art club created pieces of artwork that she then submitted to a local youth art competition run by ‘Open for Art’ (‘Open for Art’ is similar to the Dorset Arts Weeks in that local artists open their studios and display their artwork to the public over a week or two, but this one is more local to south Dorset). I am really pleased to say that Sophia won first prize and Berry a runner up prize! There were 26 entries in total, so our children did really well to get first prize and runner up. Sophia and Berry’s artwork will be exhibited on show to the public at Weymouth Old Town hall, along with other artists’ work, during the whole Open for Art event. All children who entered and their parents have been invited to attend an awards ceremony and private view event at Weymouth Old Town Hall on 17 May at 6:30pm. The TSA disco was hugely popular and made a profit of about £300.